The magic of South Island New Zealand. Opens in a new window. Wine wonderland of New Zealand. Opens in a new window. Extreme adventures in New Zealand. Opens in a new window. This place is clean tidy and functional! Close to town! Very clean, tidy and well maintained unit. Friendly staff. Handy to Petone for dining out. Good off street parking. Would definitely stay again. Where to find Paekakariki hotels near an airport? Where can I find hotels in Paekakariki that are near tourist attractions? If you are hoping to stay near the middle of Paekakariki, there are a limited number of accommodations. Within easy driving distance of the center of town, you can find 3 Expedia-listed accommodation options. 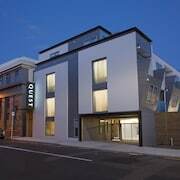 There are a number of hotels within a 10 kilometres (6 miles) radius, including the Elliotts Kapiti Coast Motor Lodge and Kapiti Lindale Motel & Conference Centre. 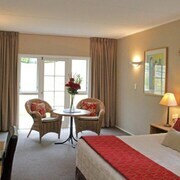 The Boulcott Lodge can be found 25 kilometres (15 miles) away from the center of Paekakariki. Another alternative is the Wallaceville Motor Lodge, which is situated 18 kilometres (11 miles) away. You could also make a booking at the Hawks Inn Motel or the ASURE 83 By the Sea Motor Lodge. Waikanae is situated 9 kilometres (6 miles) to the northeast of Paekakariki. Here, you can explore the Lindale Park. 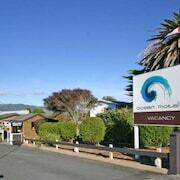 Paraparaumu hotels include the Wrights By The Sea Motel and Copperfield Seaside Motel. You may also wish to stay at Waikanae, where you can spend a little time at the Waikanae Beach. Waikanae can be found 16 kilometres (10 miles) to the northeast of Paekakariki. 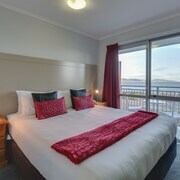 The Kapiti Gateway Motel and The Haven Kapiti are comfortable places to lay your head. If you enjoy sports and enjoy watching games you could visit Westpac Stadium, which is 35 kilometres (21 miles) to the southwest of Paekakariki. For travelers who are interested in booking a bed nearby, make a reservation in the Ohtel or Boulcott Suites. Wellington International Airport is 40 kilometres (25 miles) away from Paekakariki. Visitors who choose to stay nearby, you can book a night at the InterContinental Wellington or the Museum Art Hotel Apartments. 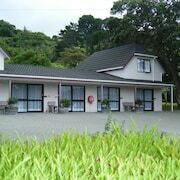 What are the most popular Paekakariki hotels? 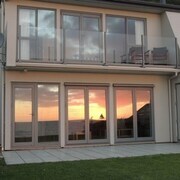 Are there hotels in other cities near Paekakariki? 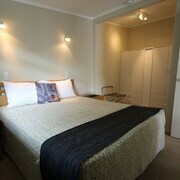 What other types of accommodations are available in Paekakariki? Explore Paekakariki with Expedia.ca’s Travel Guides to find the best flights, cars, holiday packages and more!